August 12 is known as Vinyl Record Day. 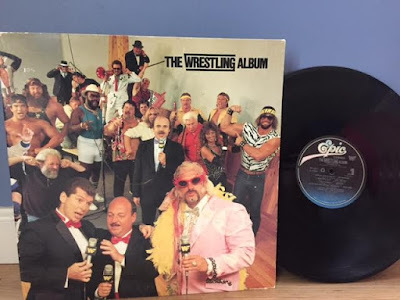 Since I'm old enough to remember these artifacts, I figured I'd write about one of my favorites: The Wrestling Album. It was released in 1985 during the height of the Rock 'n Wrestling connection. 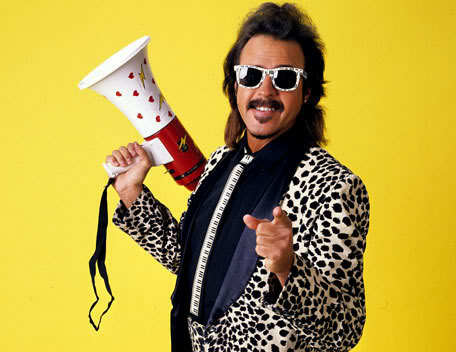 Cyndi Lauper, Rick Derringer and David Wolff were all involved in the product along with all the WWF Superstars at the time. 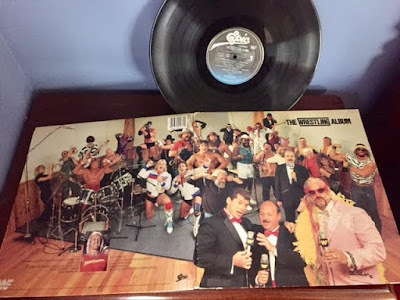 Vince McMahon, Jesse Ventura and "Mean" Gene Okerlund banter in between songs, which are for the most part done by the various Superstars. I bought the album as soon as it was made available in stores. In fact, I remember recording to cassette too so I could listen to Junkyard Dog, Nikolai Volkoff and Roddy Piper sing on my Walkman. My favorite song on the entire album without a doubt is Land of a Thousand Dances done by all the Superstars. The music video is pretty epic for the song as well, with Uncle Elmer and Piper getting into a shouting match and then the faces and heels all start rumbling. It's actually the first song on the album and leads to the rest of the Superstars getting their chance to sing. While there was some outrageous singing on the album, Jimmy Hart's Eat Your Heart Out Rick Springfield and Hillbilly Jim's Don't Go Messin' with a Country Boy are the more talented Superstars to perform. The album provided new entrance music for JYD, Hillbilly Jim and Hulk Hogan. However, Real American by Derringer was originally used by Barry Windham and Mike Rotundo. Thirty-two years later The Wrestling Album is still entertaining to listen to. Pair it up with the follow up vinyl Piledriver and you're in for some good tunes. Like ice cream bars and LJN figures, I'd love to see the album concept return to modern day WWE.